A high wooden ceiling with rafters, beautiful old wooden furniture and a colour scheme aimed at making one relax. What is not there to love in this room ! A closer look at the bed which was just right for my 5’4″ height. If I had been any taller, this would have been an uncomfortable fit. 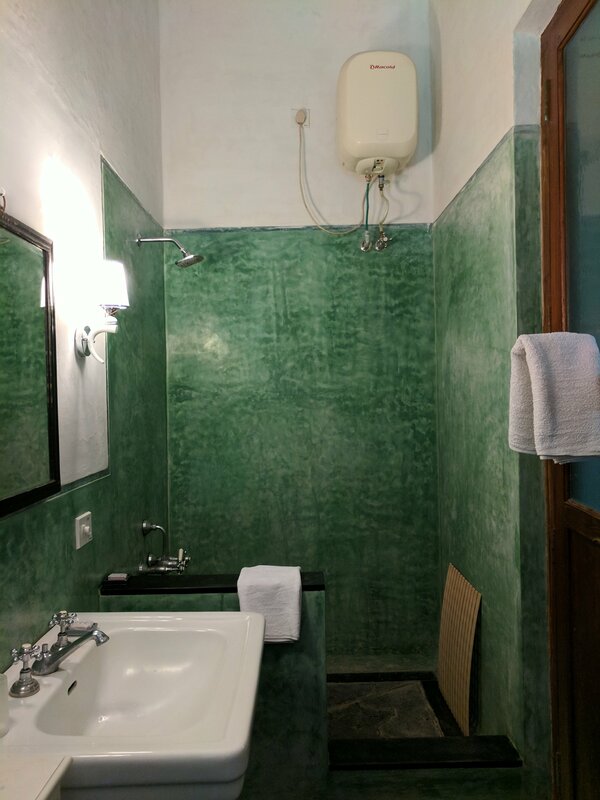 Even the bathroom of Princess Louise was green ! As I took in the sights and sounds around me, I could feel the irritation and the migraine recede and the holiday mood slowly take over. A light breakfast and some excellent coffee worked their magic too and in no time I was feeling better. 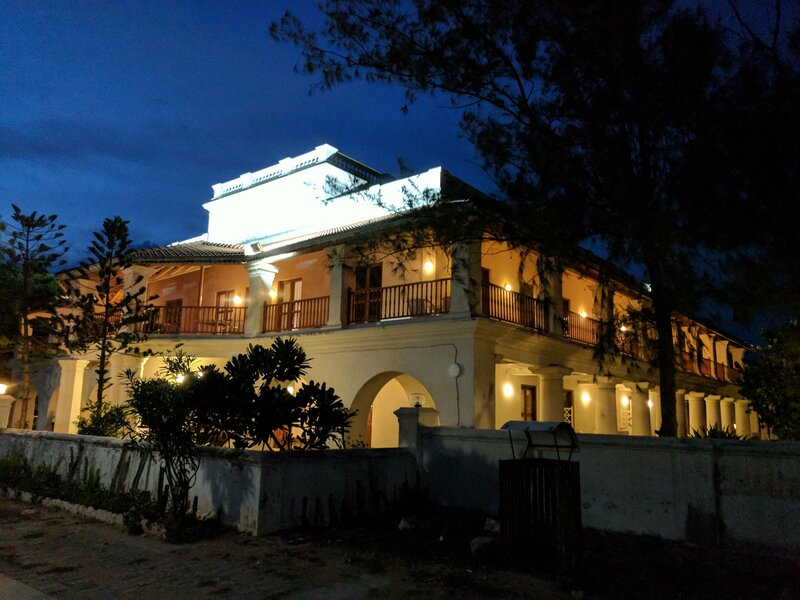 The Bungalow on the Beach is a 17th century mansion, that was once the residence of the British Governor at Tranquebar, a former Danish colony. 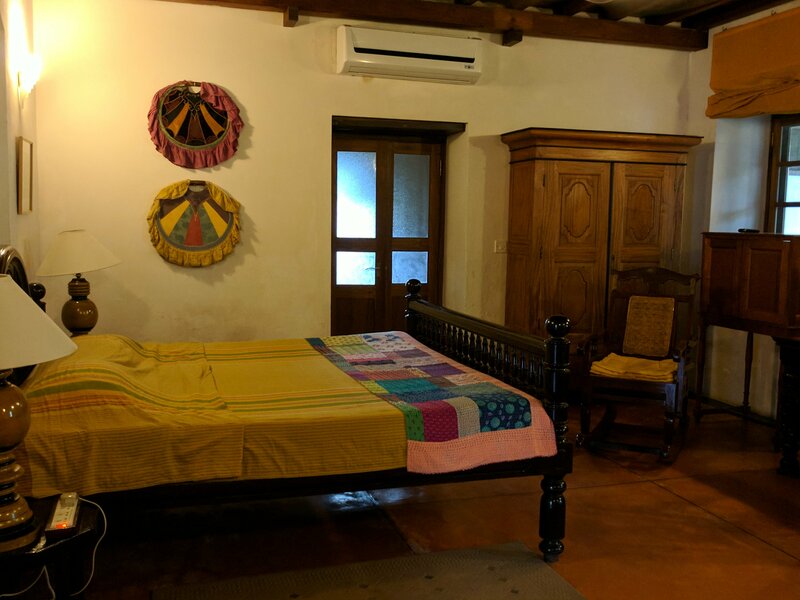 Now part of the Neemrana Group of Hotels, it is located very strategically — as its name suggests — on the beach between the 14th century Masilamani Nathar temple and the 17th century Dansborg Fort. 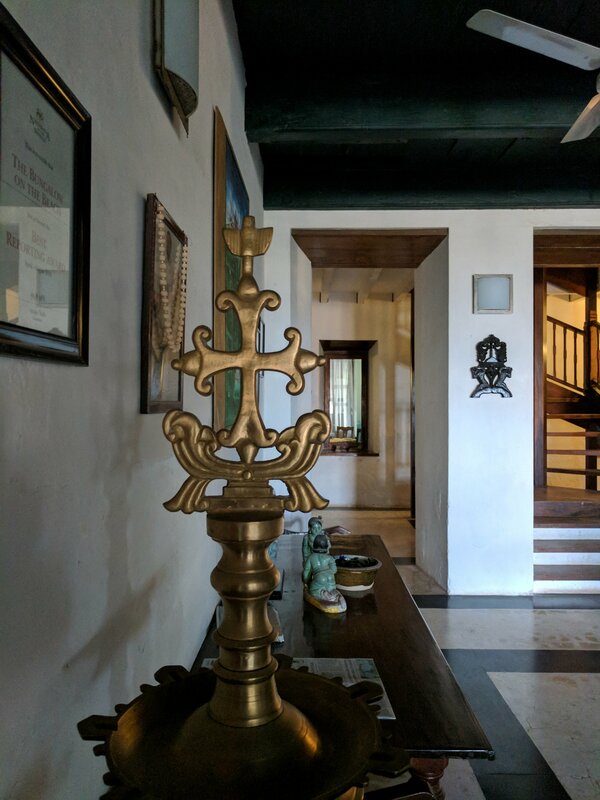 Filled with art and period furniture, I spent as much time exploring the Bungalow as I did Tranquebar and nearby places. A kind of routine just fell into place during my stay without my even realising it. I would be up before sunrise and hit the beach to say hello to the rising sun and the many friendly stray dogs who would be getting ready to go to sleep after a night of partying. I would leave by 6.30 am to explore nearby temples and historical sites before returning to Tranquebar around lunchtime. 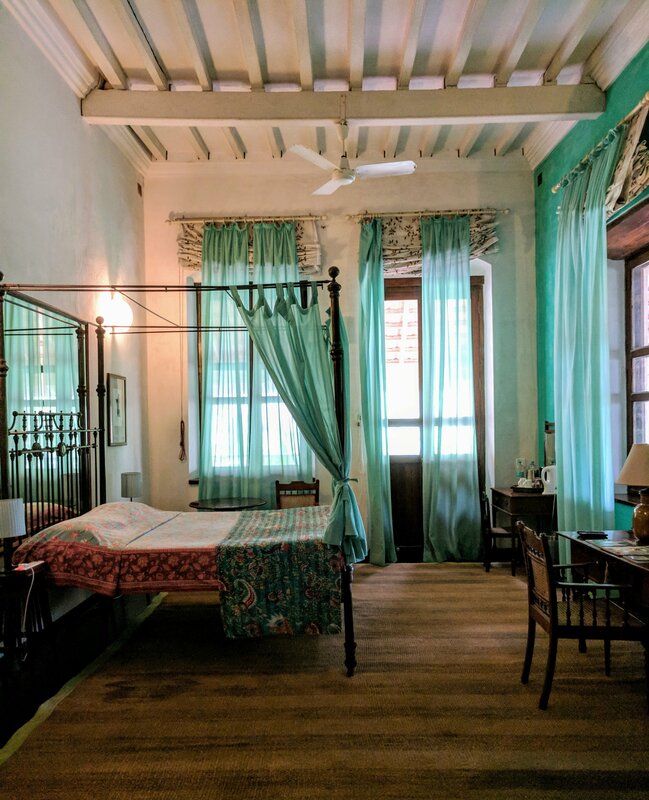 An afternoon of reading and snoozing later, I would set off to explore Tranquebar and its sights (blogpost coming up soon, so watch this space), and then for a long walk on the beach before returning to the Bungalow in time for dinner. In other words, I explored a lot, ate a lot, read a lot, wrote very little, but most importantly relaxed a lot and made the best of the leisure time I had. All lit up at night. After an evening walk on the beach, these lights were the beacon that led me back. The Bansborg Fort is visible through the gate as a giant cake with peach frosting. 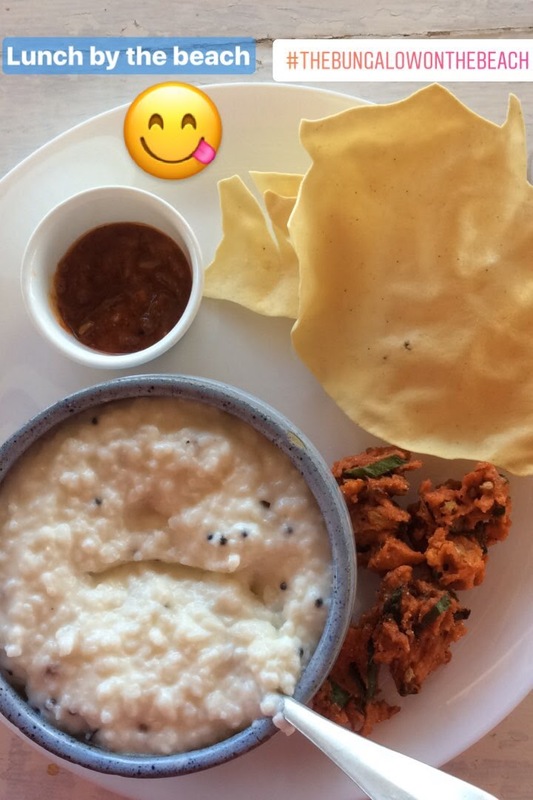 Curd rice, pickle, appalam and some bajjis. 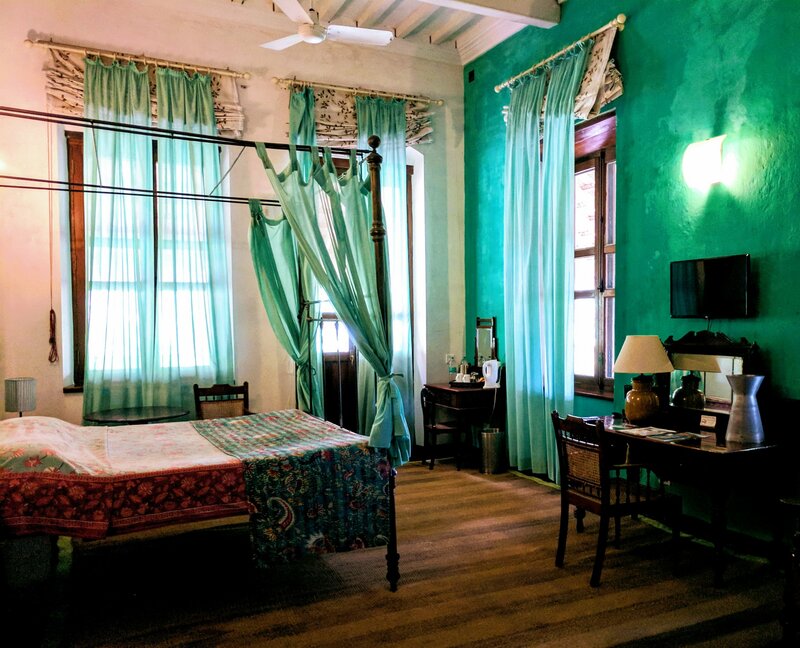 In addition to the Bungalow on the Beach, the Neemrana Group has two other properties — The Gatehouse and the Goldsmith’s House, both of which are very different from the Bungalow. 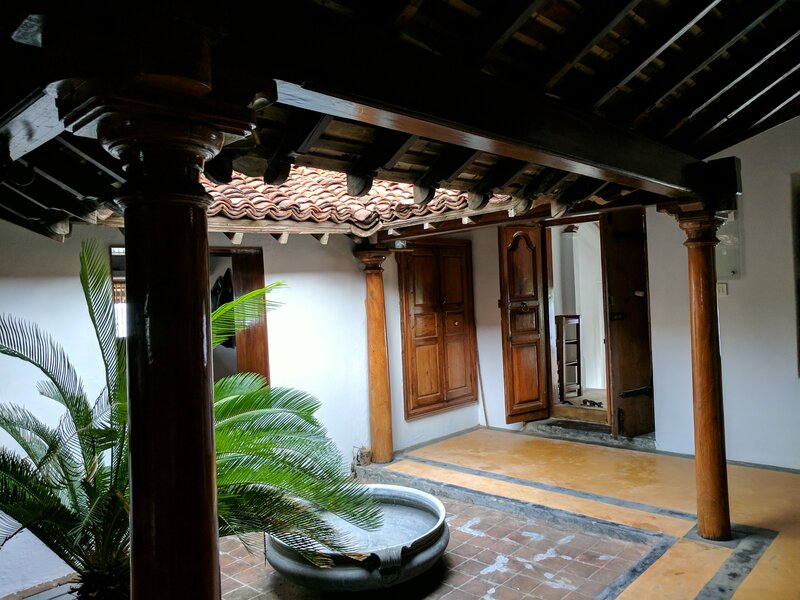 They showcase indigenous and traditional Tamil architecture and design as against the colonial style of the Bungalow. 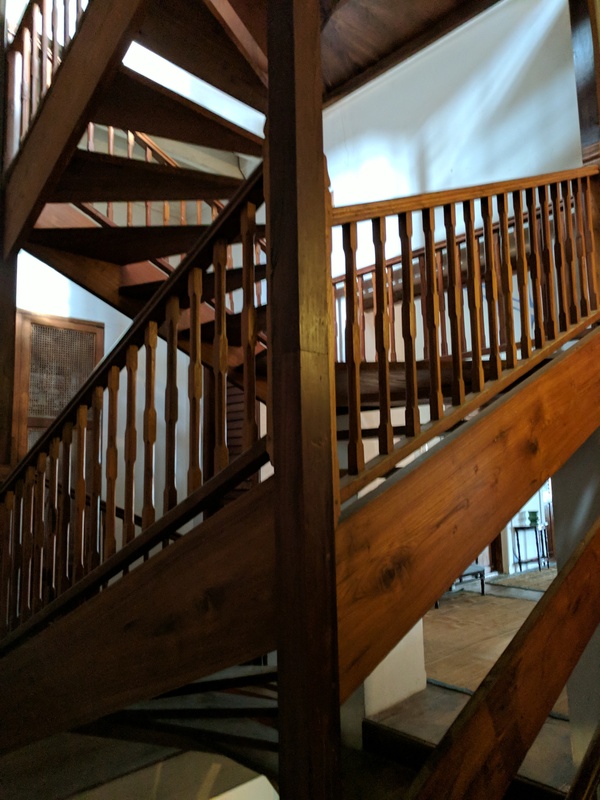 However, all three properties have one thing in common — they have all been restored. Though I didn’t stay in either The Gatehouse or the Goldsmith’s House, the staff of the Bungaow were kind enough to take me to see both after I evinced an interest in seeing them. 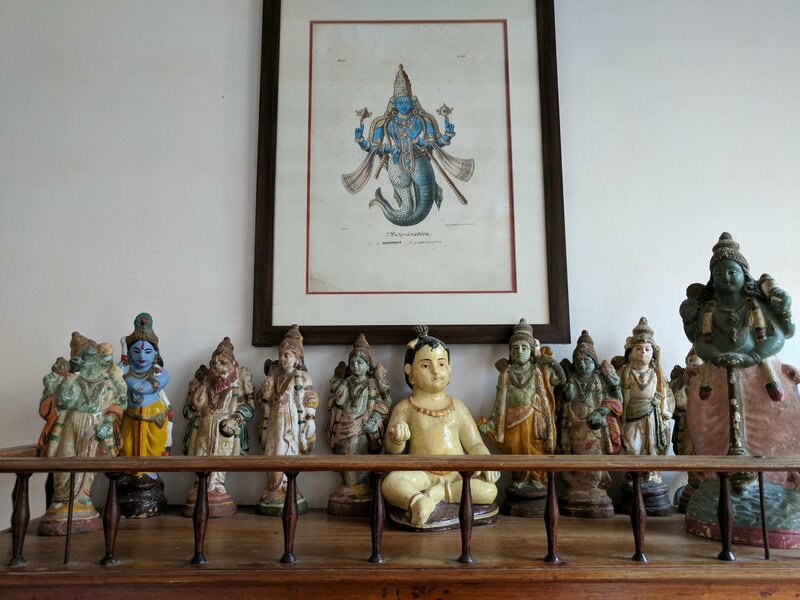 While I loved the traditional architecture and design of both these properties as well as the art on display, what I loved the most was the traditional games like pallankuzhi and ludo lying around. 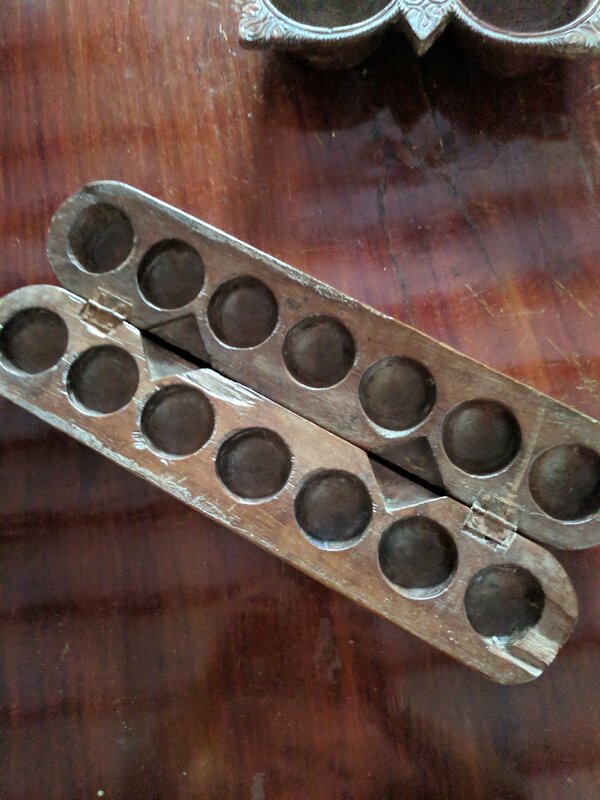 Both brought back lovely and warm memories of playing these games with my maternal grandmother. 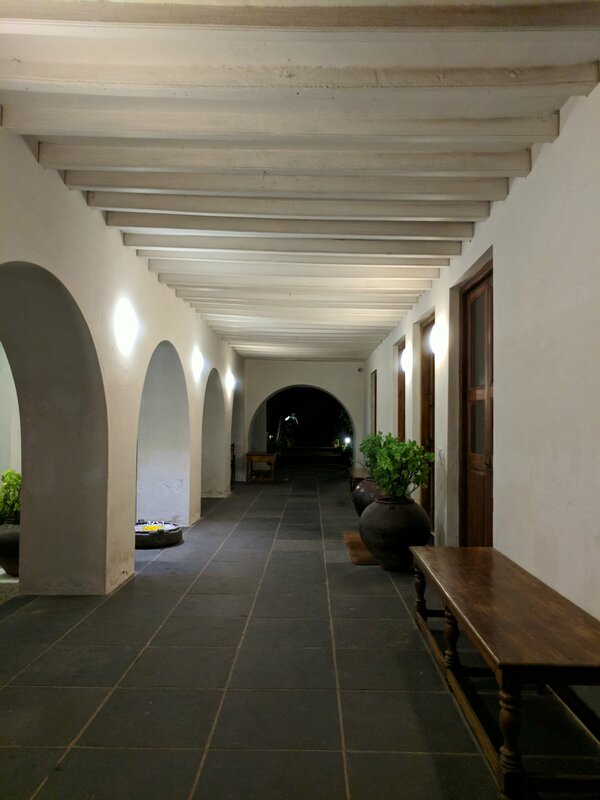 During my stay at the Bungalow, I had the place practically to myself, or so it felt for though I heard other guests I didn’t meet anybody, which suited me just fine. Though I like interacting with other guests or travellers, this time I was content to be by myself and was glad to be alone. 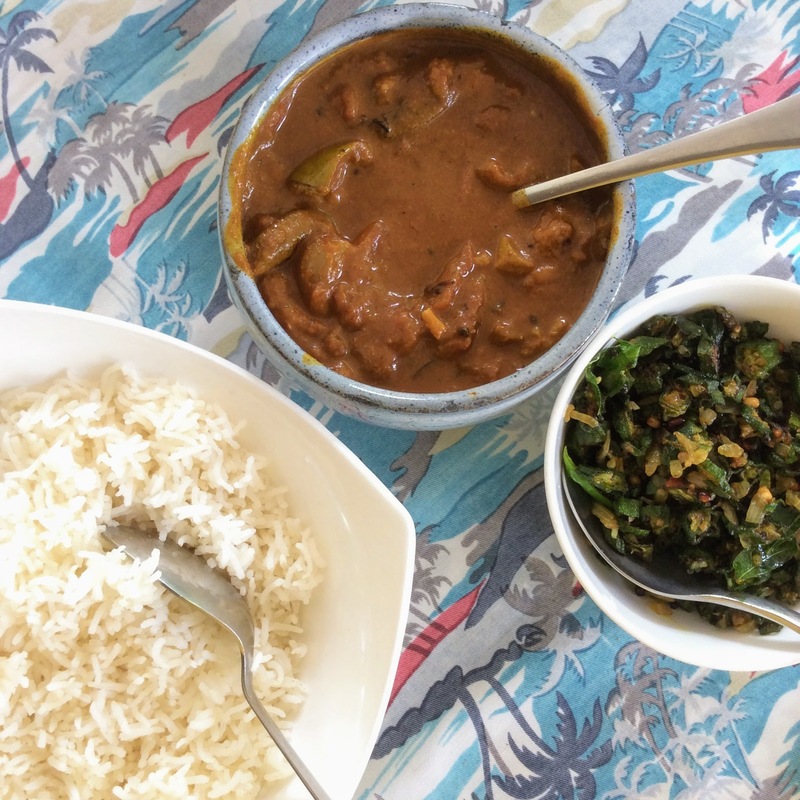 The staff at the Bungalow were extremely hospitable and went out of their way to make me very comfortable and cook whatever I felt like eating and even customising spice and salt levels just the way I like it. 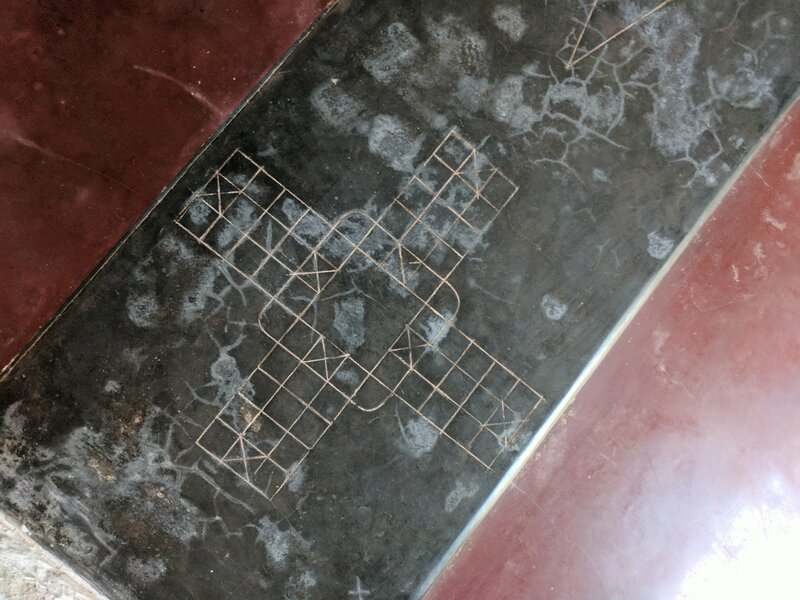 Over the years that I have been travelling, I have come to value these little personal touches more than anything else, as well as some common sense solutions to little problems in hotel rooms. For example, the in-room tea/coffee service, which I usually don’t use as I can never open the tea/coffee/ milk/sugar sachets without spilling them all over me or on the table/tray/floor. It never occurred to me (and the hotels I have stayed in) till my stay at the Bungalow that a pair of scissors in the tray would solve this ‘problem’. For the first time, I was able to make coffee in the morning before I left at 6 am every day for my explorations. 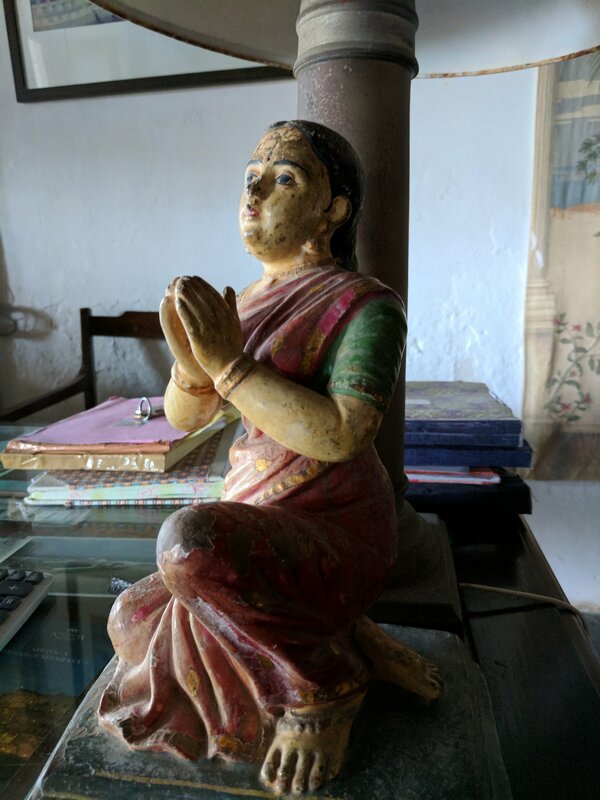 My stay at the Bungalow was fabulous stay not just because of the location, the hospitality or the much needed break; but also the little and often overlooked details like this. The older I get, the more I realise that the little things matter. Also what matters a lot for me is the location. Since I no longer enjoy covering as many sights in as little time as possible, I prefer staying close to or in the area that I intend to cover. Some people may call it immersive travel or slow travel, but I just prefer to call it my type of travel (Maybe it is your type of travel too). 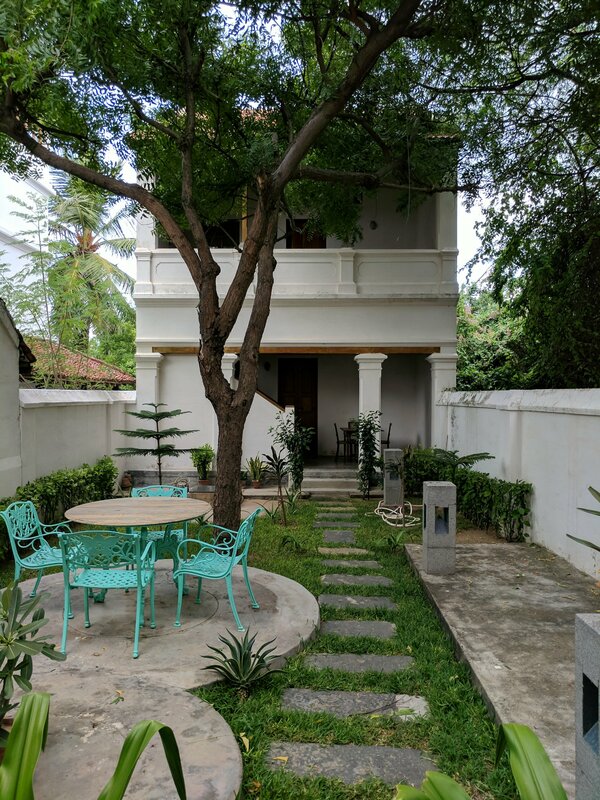 This is where places like the Bungalow on the Beach (or the Gatehouse or the Goldsmith’s House) come in as the perfect base to explore Tranquebar and a little beyond. Yes, Tranquebar can be ‘done’ as a day trip from Pondicherry (and I know of many people who have done it) or stay in a cheaper place at nearby cities like Nagapattinam or Kumbakonam and make day trips from there. But it is not the same and it can’t be for Tranquebar needs to be experienced slowly. Just see how happy I was; I even took selfies! 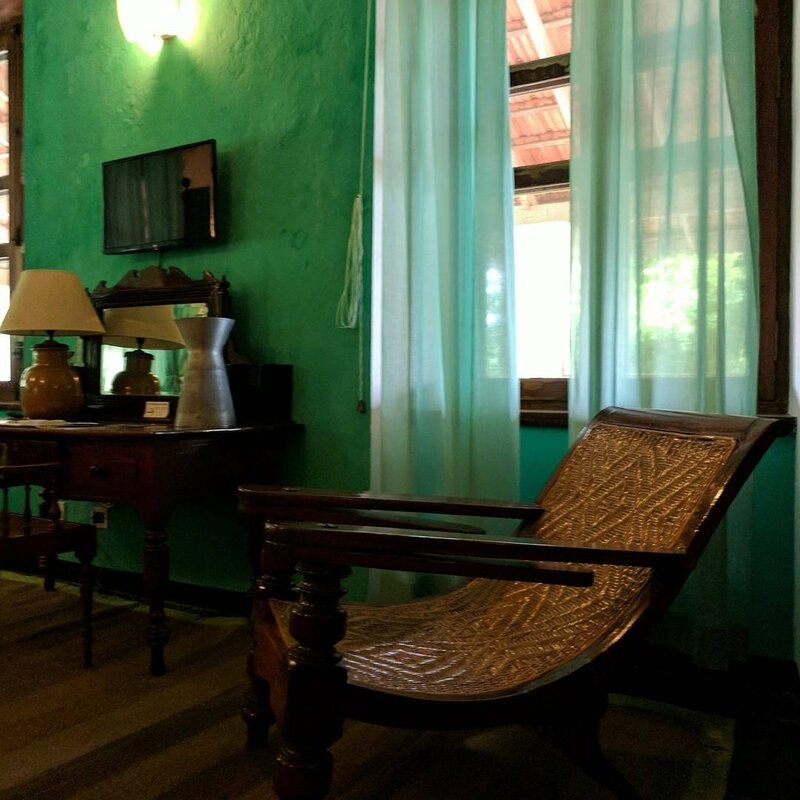 Postscript: My stay at the Bungalow was fabulous in every possible way, and which I hope this blogpost conveys. What I didn’t realise at that time was just how significant this stay would be. I had arrived shortly after the news of the tragic death of a friend and I returned home to the news of a serious health issue in the family. 6 months on, things have settled, but as it often happens sometimes life gets overwhelming too and the need to escape from it all surfaces. My mind then travels to the oasis called the Bungalow on the Beach and I “return” calmer and relaxed. 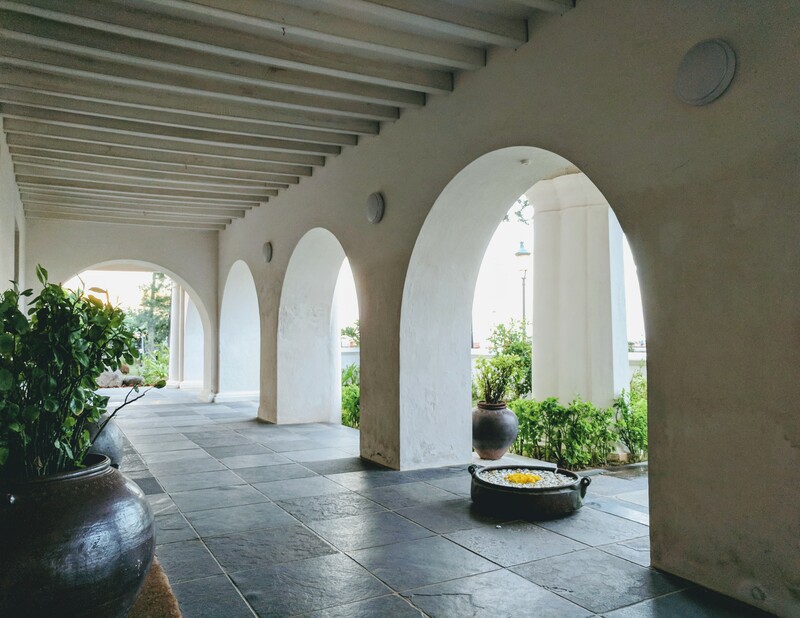 Disclaimer: I was hosted by Neemrana Hotels at their Bungalow on the Beach property at Tranquebar/Tharangambadi in exchange for a post on my experience there. I was not compensated financially or in any other way by them. The words, views and photographs are all mine. The scissors do make all the difference, don’t they?! Never occurred to me as well, till I saw your post. Glad the trip was such a solace to you in a difficult time. I don’t know how I missed replying to your comment, Vijaylakshmi. So sorry for this oversight. Yes, the scissors made all the difference between having that morning chai or not ! 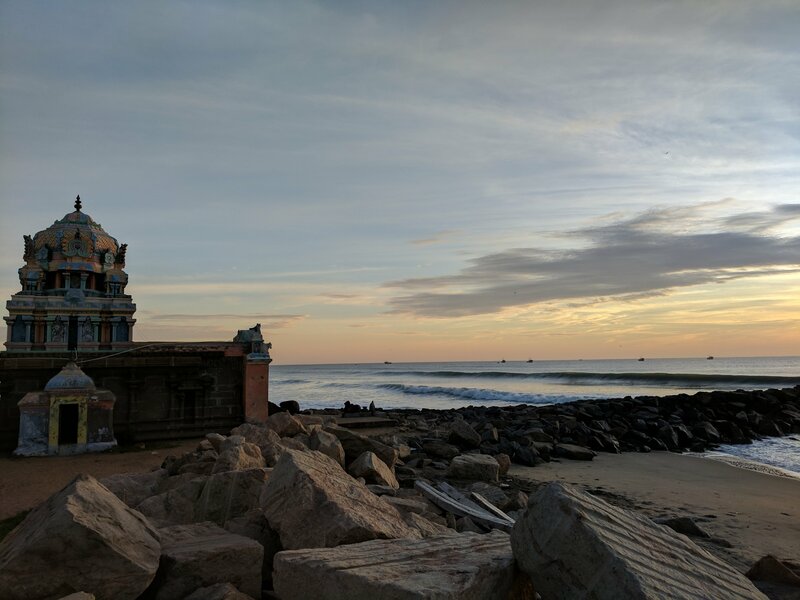 Tranquebar was a haven and I often go back to it mentally for it gives me a lot of solace and peace. Ah lovely to read you had a fun time out here.. 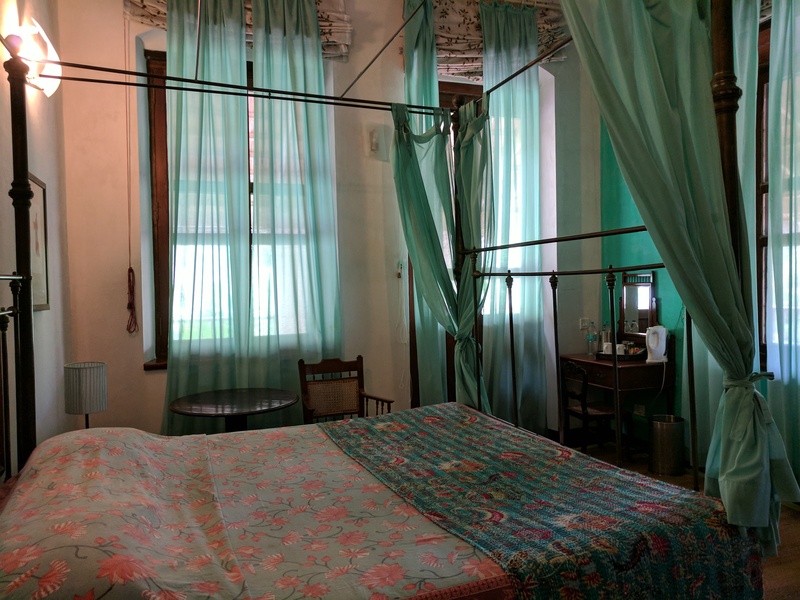 I love that property as well, something magical royal and elegant about the place.. 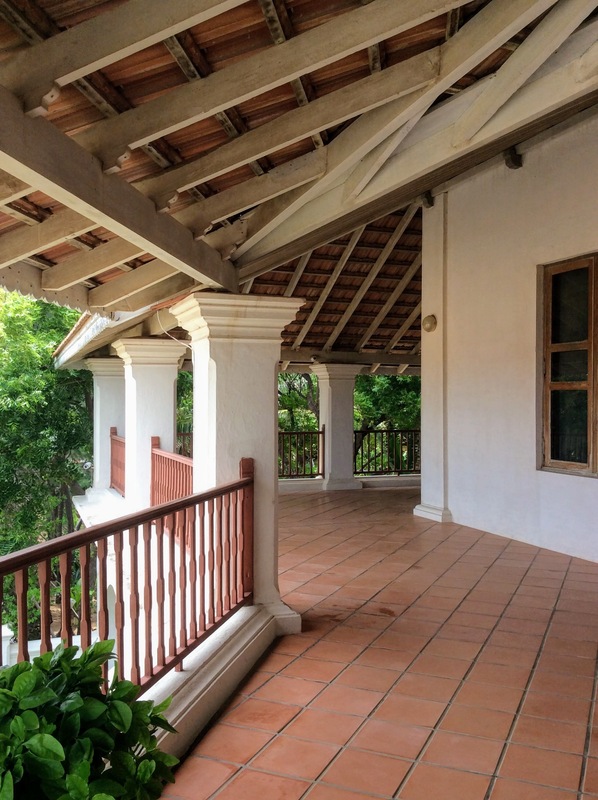 I am in love with The Bungalow on the Beach, Aarti. Apart from the magic and elgance of the place, it is the timelessness of the place that appealed to me the most. Hope everything is fine now. 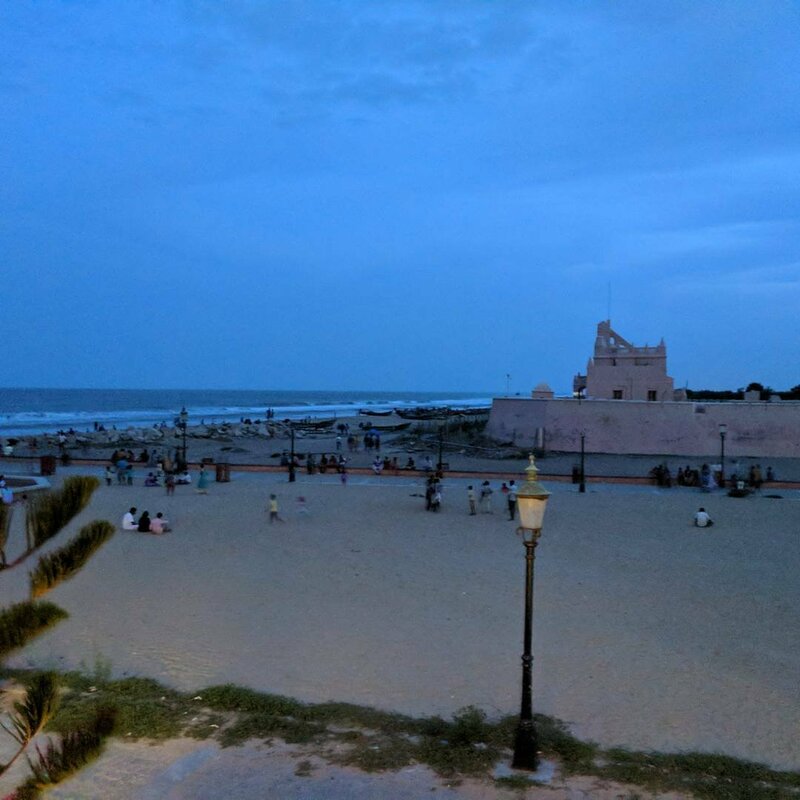 Tranquebar is a little gem of a place! Glad you liked it. 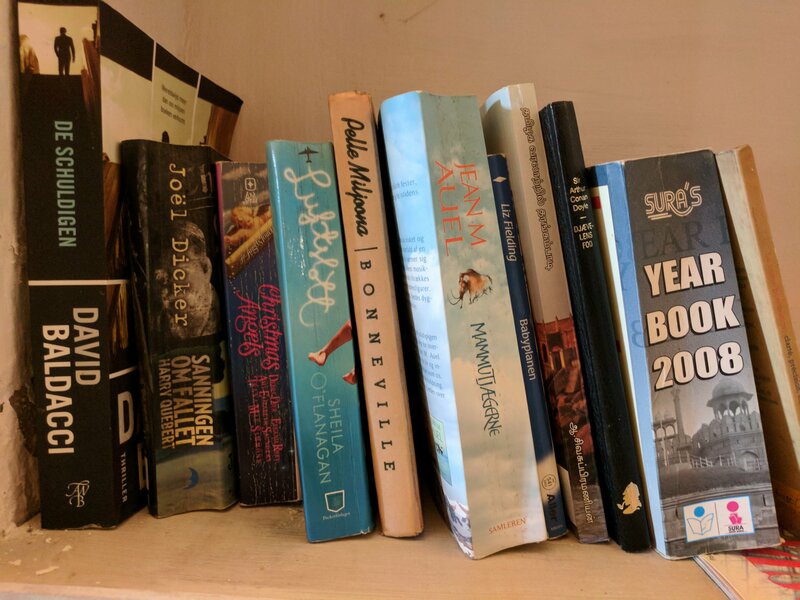 I love the way you write your travel stories – you take us right there to the place, with you. 🙂 As always, this was a fantastic read. I’m glad you had such a wonderful time at Tranquebar. 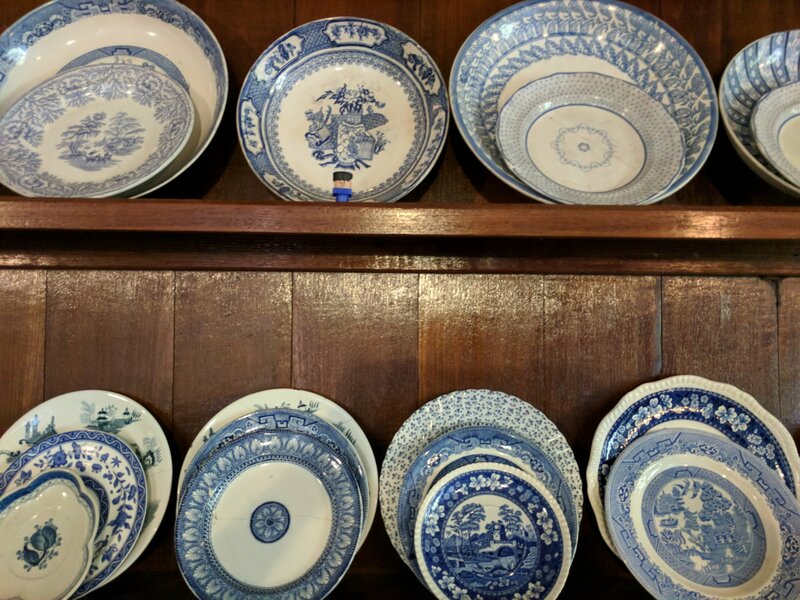 The place has been on our must-visit list for forever! I’m also glad to know things have settled after the upheaval in your personal life. Thank you, TGND. 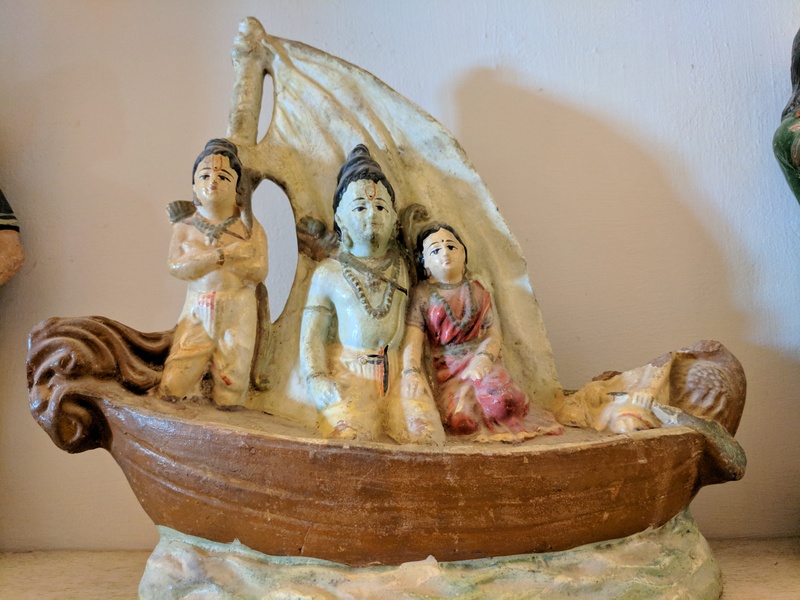 I enjoyed the solitude and loved how it was away from and yet accessible to the temples of Darasuram, Gangaikondacholapuram, as well as a host of other temples that I visited. The location of the Bungalow on the Beach really offered the best of both worlds. Love the quaint charm of this place. Quaint is the word for The Bungalow on the Beach. And unlike other places where the charm wears thin after a while, it is not the case with this place. Even 20 years later, I believe that The Bungalow will retain its quaint charm. Its such a lovely place. 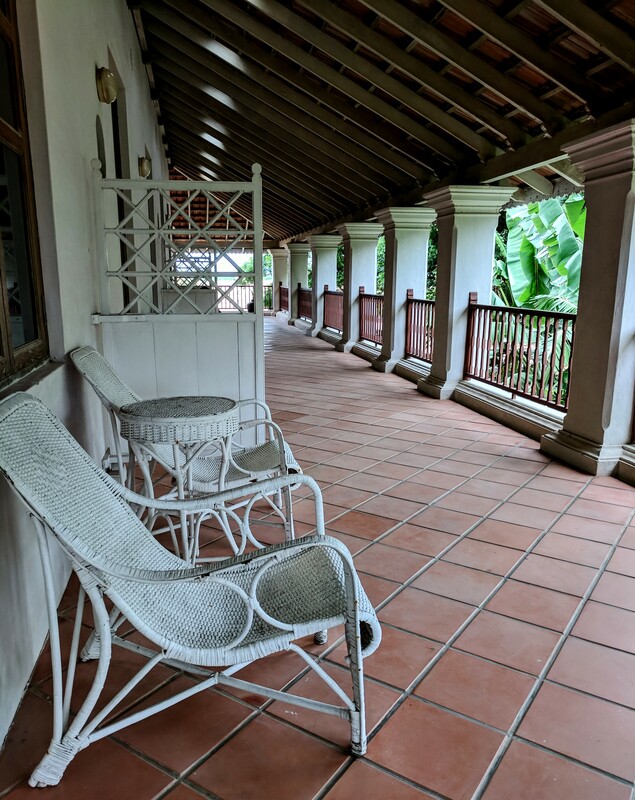 Feeling the cool breeze in the quaint bungalow arches. Lata, it is quaint indeed ! And the decor and setting make it easy to transport oneself to some other place. This is one place where I would be happy to not step outside the (non)-hotel at all and spend all my time reading and lazing around. Its that kind of place. Stayed at the Gatehouse and was fantastic for a family get away while still able to enjoy tea on the veranda at the Beach House. Amazing service. 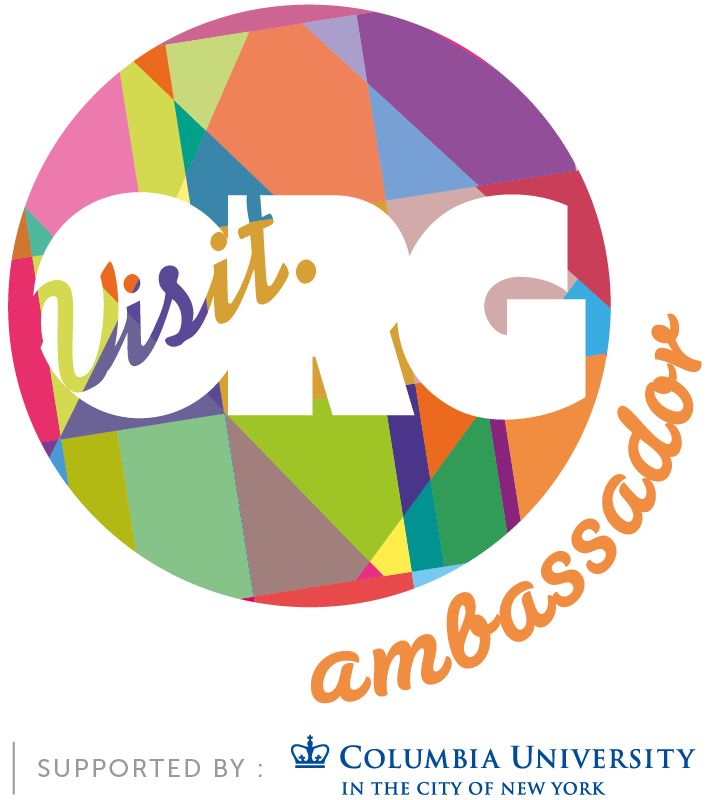 Welcome to the blog, Margaret, and thank you so much for stopping by and commenting. 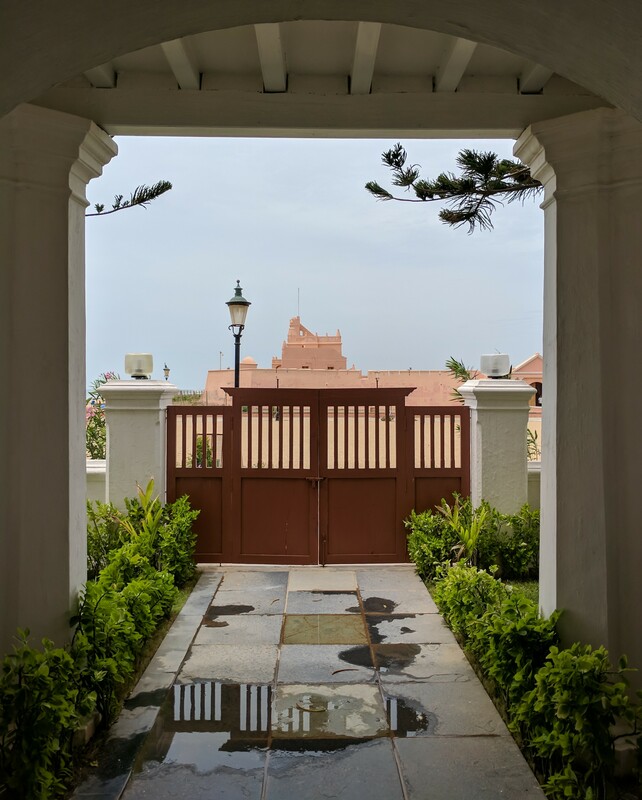 So happy to meet another traveller who enjoyed their stay at the Neemrana properties at Tranquebar. They are so good, aren’t they? Hope you have a good family vacation. Thank you, Anindya. The Bungalow on the Beach was everything that I wanted and needed at that point in time. 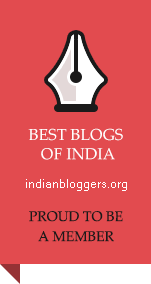 Welcome here, Sindhu, and thank you so much for stopping by and commenting. Yes, The Bungalow on the Beach has been as perfect as a place as can be. I loved it and even after 10 months, the memories are still fresh in my mind. Welcome to “My Favourite Things”, Jina. Thank you so much for stopping by and commenting.